Brace yourselves, Vancouverites. 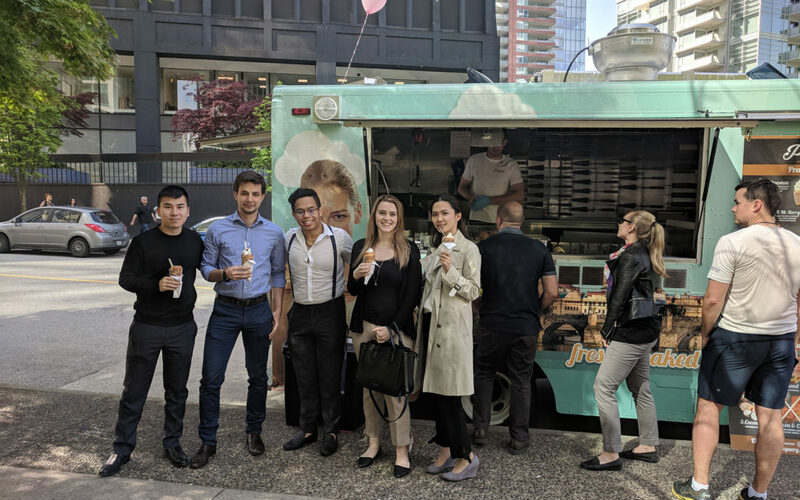 The Praguery is thrilled to announce our summer food truck spot will be conveniently located in downtown Vancouver on West Hastings and Thurlow Street! Our new dessert food truck location has all the makings of a perfect summer day. With an assortment of traditional European delights to choose from (chimney cakes, anyone?) we provide you with the perfect sweet treat while you take in that famous Vancouver harbour view. Starting May 1st, 2018, we will be stationed Tuesday to Friday at our new downtown location, from 12-6PM. Fresh pastries like our chimney cakes and Prague cones are rarely seen on the West Coast. Because of our unique offering, our ice cream truck’s popularity has grown exponentially over the last few years. We even offer catering! And we owe it all to the Praguery’s very own Jaro Mestka, who was inspired to bring something unique and fresh from Europe. The Prague cone. We don’t want toot our own horn and call it a work of art but…imagine a rotisserie-baked pastry with vanilla soft serve and a sweet filling of your choice. Our various fillings include classics like chocolate, berry, and lemon, while our specialty cones include the likes of pecan, apple strudel, mango, caramel pecan, and strawberry heaven. Yum. For those looking for just the right dollop of sweet goodness, we’ve also got our beloved chimney cakes. Our chimney cake is a fluffy pastry dipped in spice. You can choose from almond, shredded coconut and our personal favourite, cinnamon and sugar! 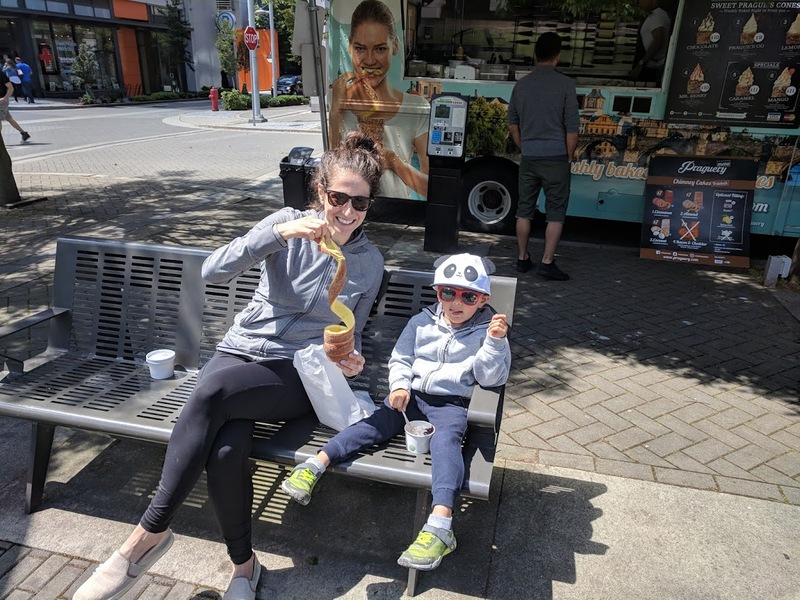 To find out what all the fuss is about, visit The Praguery food truck on West Hastings and Thurlow Street this summer! For any further questions including general inquiries and catering corporate events, feel free to reach out to us directly at (604) 367-6127 or info@praguery.com.